I noticed this vast chocolate Titanic in a bakery window in the city of Lugo in northern Spain last summer. 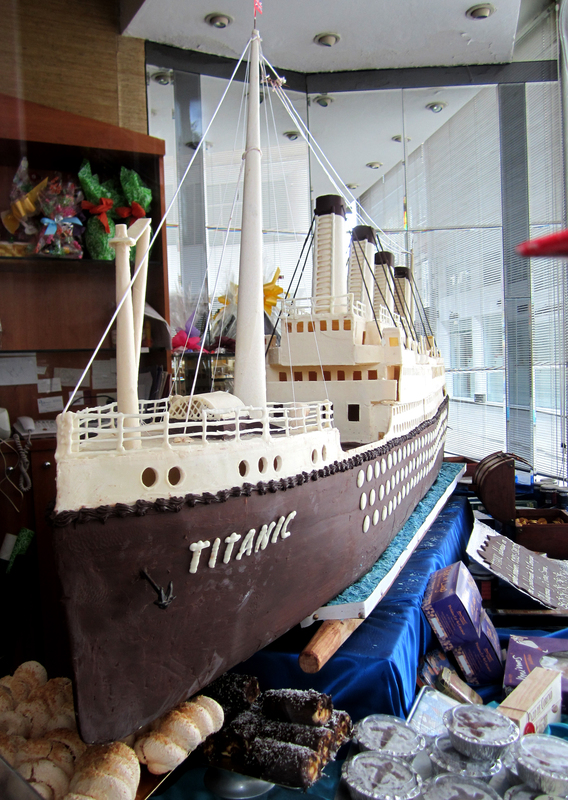 As the shop was closed at the time, I never got to ask who made it; why; how much it cost; or, above all, whether a luscious sponge cake, layered to correspond with each of the Titanic‘s many decks, lay concealed beneath its chocolate exterior. It came to mind today because of a picture I didn’t have room to use in yesterday’s Raising The Titanic post, which unless I’m very much mistaken shows another truly Titanic cake. 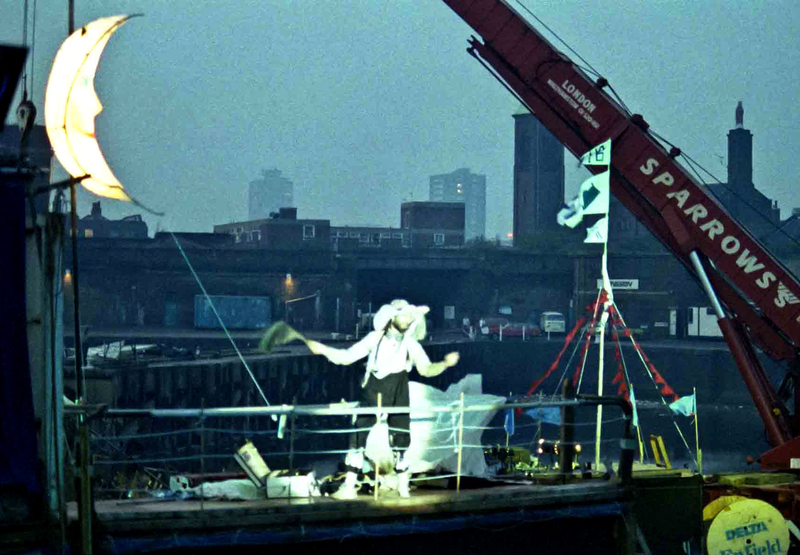 Many thanks to Adrian Ward for sending me his photos of Raising The Titanic, staged almost thirty years ago by performance group Welfare State International. 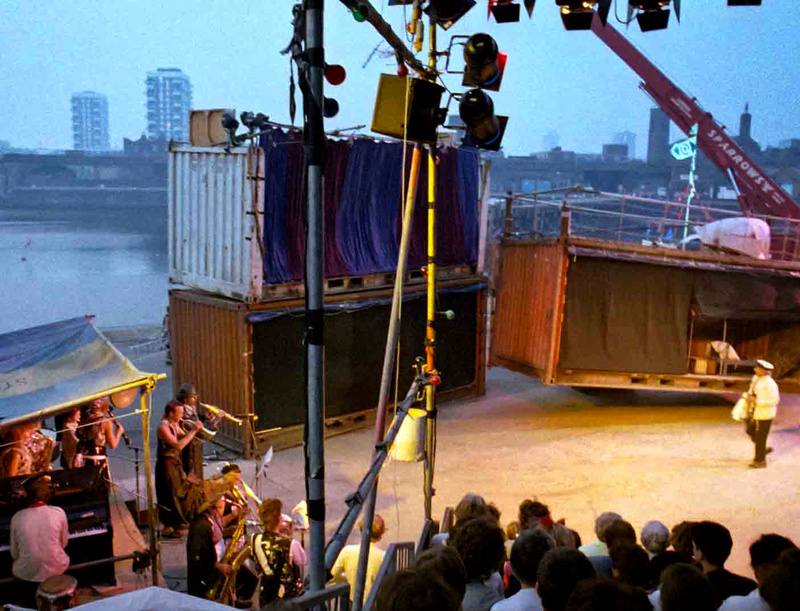 Described by Artistic Director John Fox as “part theatre, part encampment, part community gathering”, Raising The Titanic took place in Regent’s Canal Dock Basin in Limehouse as part of the London International Festival of Theatre. 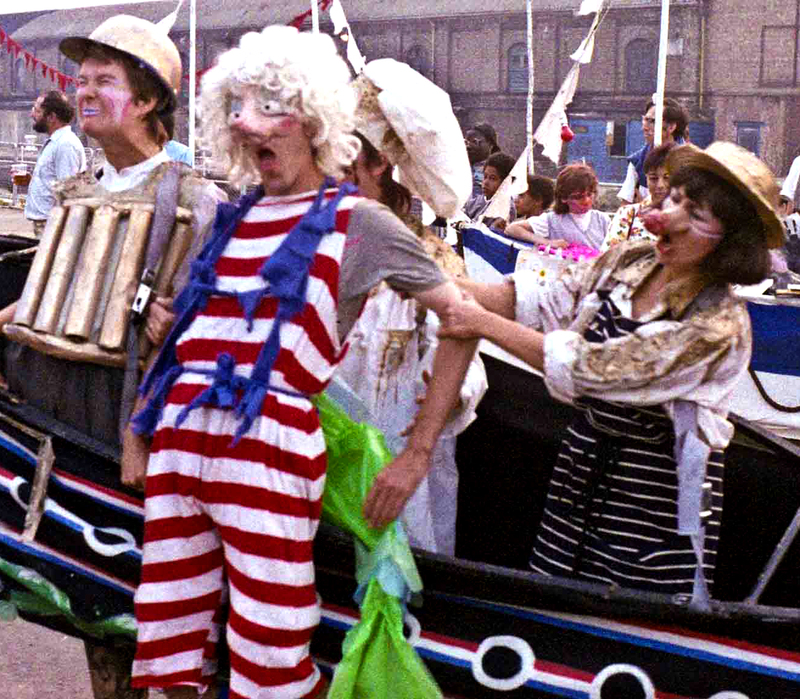 An “allegorical political and mythological extravaganza”, designed to highlight how greed-fuelled redevelopment was changing London’s docklands, it was performed over twelve evenings in July and August 1983. 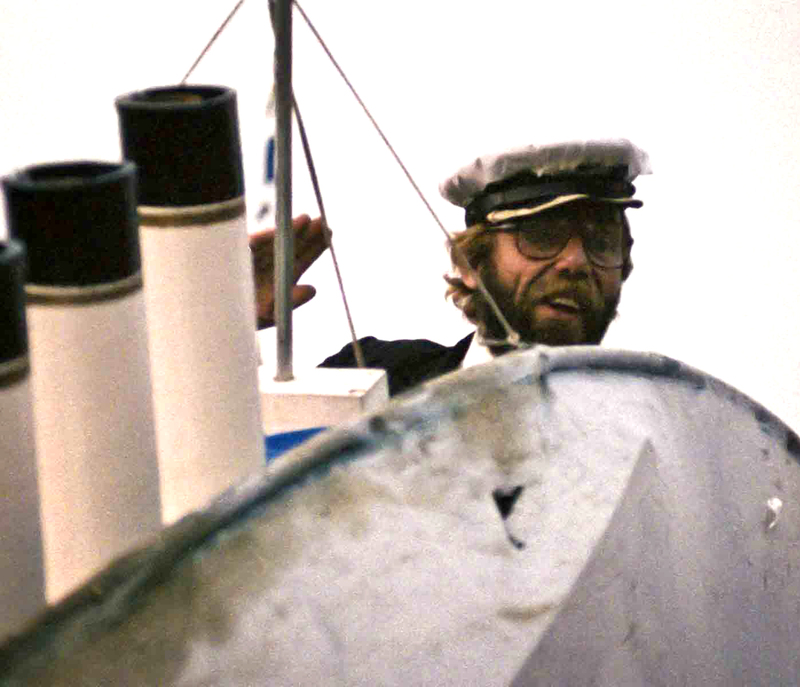 Margaret Thatcher was Prime Minister, and the actual wreckage of the Titanic had yet to be re-discovered. 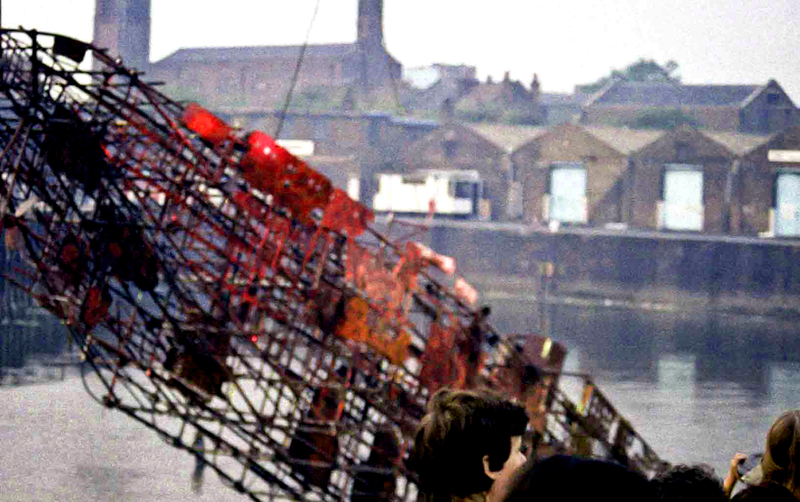 After the original idea of re-floating a sunken barge by pumping it full of air proved too difficult to repeat to a precise schedule, the company ended up using a crane to raise an eighty-foot scaffolding framework out of the water. 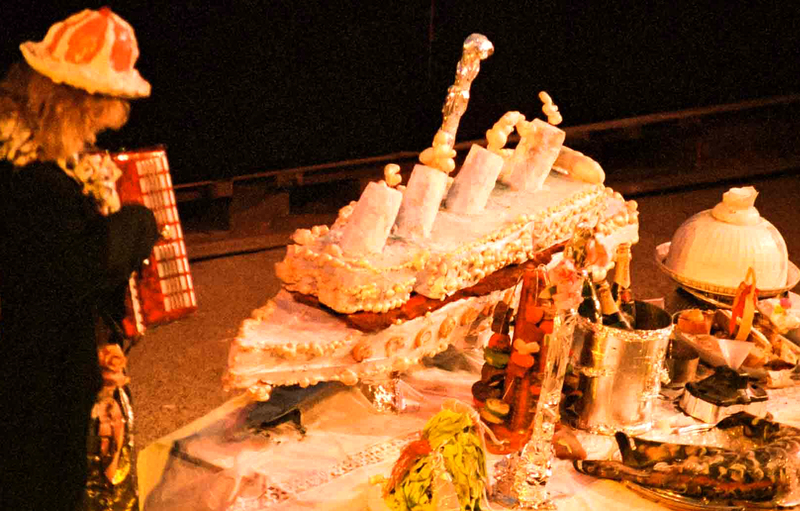 Raising The Titanic was a genuinely spectacular event, much closer to carnival than to “drama”, starting with food and drink and ending with dancing and fireworks. 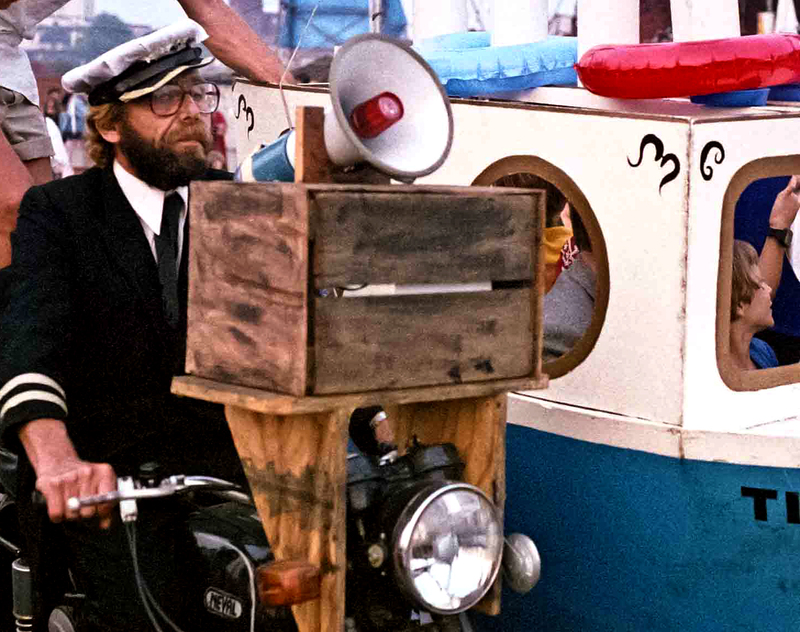 It was also political at many levels; only a year had passed since the Falklands war and the sinking of the Belgrano, so the images of disaster and loss at sea had a very contemporary resonance. Dance to the ragtime band. How could they sink the unsinkable? Trust in the Captain’s hand. Let’s drink what is drinkable. How could the world burn down?